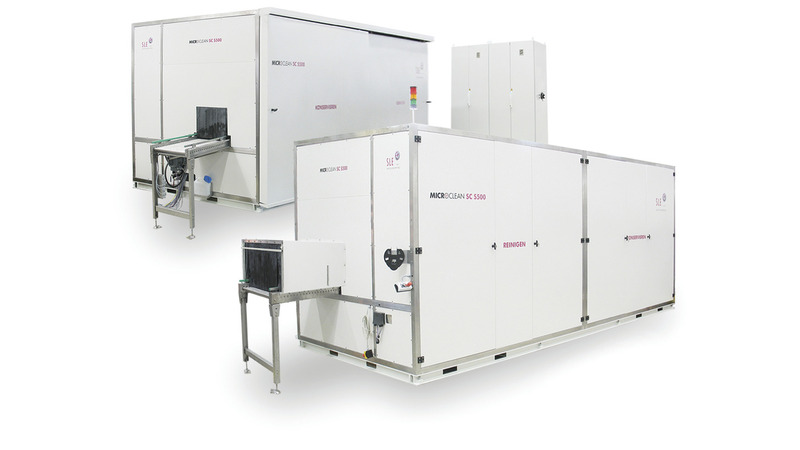 This multi-stage SLE throughput cleaning system is perfect for various components in large-scale and mass production. The components can be cleaned either separately or set into a rack. By combining various spray cleaning and rinsing processes an excellent cleaning result together with a high throughput can be guaranteed. The transportation of the component in the system can take place continuously but also clocked. With a clocked transportation system not only a large surface cleaning of the component can be realized but also a targeted cleaning. In combination with corresponding devices and bath treatment processes also an ultra-fine cleaning of parts is possible.